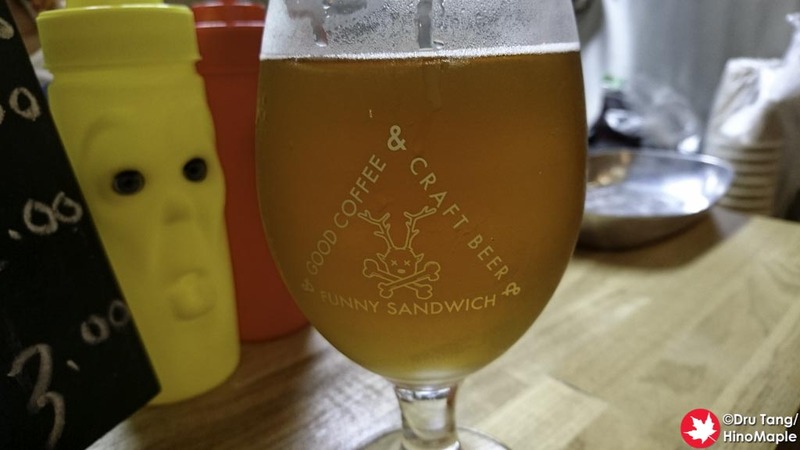 Shishi Bone is the only craft beer shop that I know of in Koiwa. There is another craft beer shop at the Keisei Koiwa station but it is a bit of a walk so I don’t know if I’d consider it part of Koiwa. 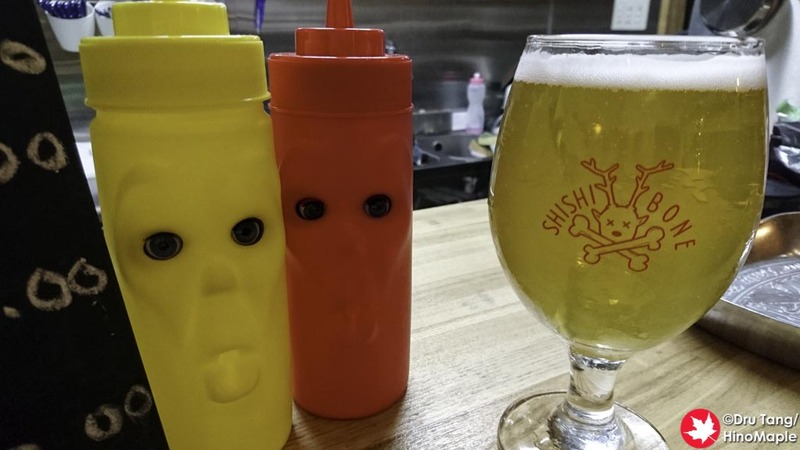 Needless to say, I went to Shishi Bone as it was on my way home from work and having a nice beer on the way home is always a necessity. Shishi Bone is a pretty small place that is mostly standing with a few seats. I was the only person when I arrived but since they were having a small festival next door I wasn’t surprised. The interior is pretty simple and they have built upon it since they opened. They have a central standing table for people to communicate with each other and a few areas for seats along the walls. I immediately went and ordered a beer. The menu is all above the counter and everything is listed in USD. It is an interesting, if not confusing, system but all transactions are done in JPY. The exchange rate is 100:1 so it isn’t difficult to figure out how much everything is in JPY. My first beer was the Oni Densetsu – Oni ni Haramaki IPA. All of the beers came in really cool glasses and I would love to get a set for home, but they weren’t for sale. The IPA was nice and refreshing that really hit the spot after a long day of work. This was followed by the Shochu Mimai by Kyoto Brewing. Both were really nice and well deserved. The food at Shishi Bone is mostly deer related. Shishi means deer in Japanese so the main food is the venison burger. I didn’t have a chance to try it but I can imagine it would be delicious. The hours at Shishi Bone are also a bit suspicious. They often open at odd hours but considering their main customers come late at night I’m not surprised that they open pretty late. Thankfully they announce their hours often on social media and the woman running the shop was friendly and made good conversation when I was the only person there. It felt like a true Shitamachi (old school Tokyo) bar where everyone was happy to talk with each other. Shishi Bone made a really good impression on me. I really want to go back but I don’t often travel that way. 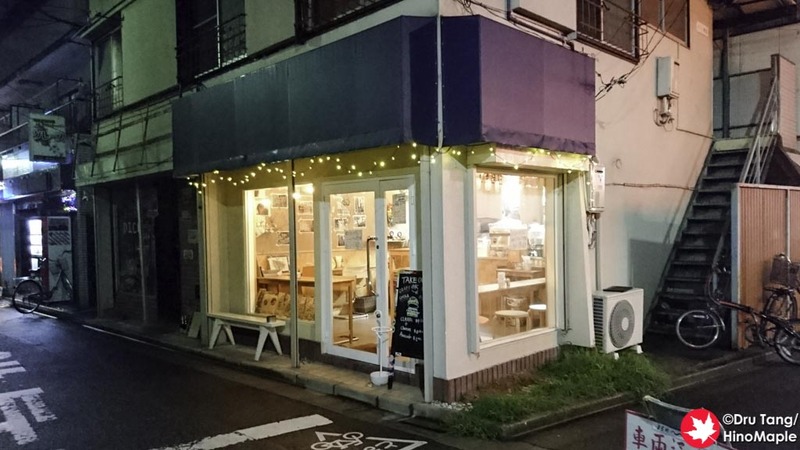 They also have a second shop in Moto Yawata that I will have to visit someday. I think that one has regular hours but it is even more inconvenient for me. With all that is happening in my life I don’t know when I’ll be able to go to Shishi Bone in the near future but you can be sure that I will be thinking about it. This entry was posted in Tokyo Food and tagged craft beer, japan, Koiwa, Kyoto Brewing Co, Oni Densetsu, Shishi Bone, Shitamachi, tokyo by Dru. Bookmark the permalink.